funding was recently confirmed by Theresa May’s government. This is viewed as a really positive step towards funding the continued growth of Northern industry and innovation. 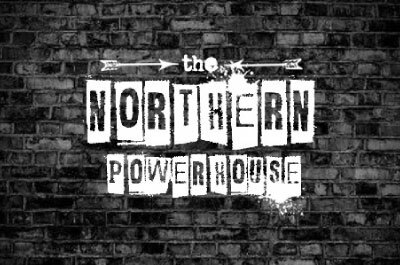 Being a “northerner”, it does, however, stimulate some thought to provoke questions…..
What is the “Northern Powerhouse”? Why does it have a “brand”? Why is it a separate policy to other UK investment? Why has this taken so long to be recognised? Is this the first movement towards a northern devolution?? Here in the North, we have survived booms and recessions continuing to innovate and manufacture the greatest British products often without the support and the infrastructure long needed. For a long time the fantastic Manufacturing, Engineering, Energy and Scientific industry of the North has been raising the bar for innovation and manufacturing. The Northern Powerhouse is the brainchild of George Osborne who recognised the importance of Northern industry contribution to the UK economy current and future. When thinking about how this should be recognised perhaps we in the North aren’t the best at promoting our successes and needed this brand in a time when too often investment looked inwardly to the capital. This explains the second question that rightly or wrongly it required promotion. It is interesting however, that there has been an inherent perversity of local authorities having control of only five per cent of their money raised within their boundaries meaning to a certain extent it has had limited control on investment. So then can this be seen as the beginnings of devolution of the North? Separate policy and funding for areas of the UK? More control over funding? It certainly suggests that whichever political party wants to win the next general election will need to have a clear policy towards devolution. The £556m investment that will be split between the region’s 11 local enterprise partnerships. The cash boost, first announced in the Autumn Statement, will go towards a series of projects including Goole Intermodal Terminal, £10m for the Greater Manchester and Cheshire Life Sciences Fund, and the International Advanced Manufacturing Park in Sunderland. The government said a key part of the strategy’s green paper, published today (23 January 2017), was offer to businesses the chance to strike new ‘sector deals’, driven by the interests of companies and the people they employ, to address sector-specific challenges and opportunities. As part of the deals, a range of support will be on offer, including addressing regulatory barriers to innovation and growth, looking at how trade and investment deals can be used to increase exports or supporting the creation of new institutions to provide leadership, support innovation or boost skills. The green paper also sets out technologies where Britain has strengths in research and development which could be supported through the government’s new Industrial Strategy Challenge Fund, including: smart energy technologies; robotics and artificial intelligence and 5G mobile network technology. This fund is part of £4.7bn of additional R&D funding announced by the Prime Minister in November. To conclude the investment in the Northern Powerhouse will go a long way to providing much-needed funding to promote business opportunities in local industry. It remains to be seen but it remains to be seen whether this paves the way for Northern Devolution.